Gym Leader Spotlight: Elite Four – Fire Type! StreetPass Long Island is proud to share the next of our Gym Leader Spotlights for the SPLI Pokémon League! If you don’t know about the SPLI Pokémon League, then you should definitely click the links for the league’s main page, which explains how the league works! You can challenge any Gym Leader by selecting their Gym from the League dropdown menu and submitting a challenge using the form on the Gym page. If you’d like to apply to be a Gym Leader, please send us an email and we might put you on the waiting list for next season! In anticipation of the upcoming SPLI Pokémon League Elite Four Challenge on Sunday, March 15th, we wanted to introduce to you one of our Elite Four Gym Leaders! SPLI: The big Elite Four Challenge event is coming up shortly! Are you ready to face the challengers? One question we always ask Gym Leaders is about their rules and format. What made you decide on the Fire Gym’s format? Anthony: It was the most familiar Battle Style I can choose. [That is why] I chose Normal Singles. SPLI: It can definitely be a good thing to stick with what you know! What about your favorite Pokémon on your team? 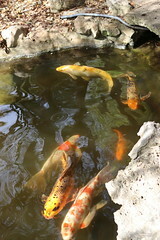 Would you like to share that with us? Anthony: I would say Magmortar. I love its design and I think it’s surprisingly good movepool gives it an edge over most of the other Fire Pokemon with moves like Thunderbolt and Psychic. It also appeals to me because not many people seem to like the Pokemon, so it kind of appeals to me, but I think it might actually be out of pity. Regardless, it’s still amazing. SPLI: Lots of people want to know hints and tips to help them beat your team. Do you want to share your secrets?? Rick: Not really, given I am an Elite Four, people can just look at my type and anticipate what I would likely use. SPLI: It seems like you’ve got a lot of experience when it comes to battling! Do you participate in PVGC and other competitions? Anthony: 8 Years ago, I won the Pokemon National Qualifier Tournament. This important for me because I really proved to myself that I accomplished being a real life Pokemon Master. [Also, I am always looking for new friends to play videogames with.] I want to be able to play co-op with people. If anyone would be interested email me at voltcatfish@gmail.com. SPLI: Wow, you are definitely going to be tough to beat! What do you think, SPLI? Do you have what it takes to win? Come to the SPLI Pokémon League Elite Four Challenge on 3/15 and battle your way to the top! If you would like to challenge Wes and the Fire Gym, you must first have beaten 8 regular Gym Leaders from the SPLI Pokemon League either via WIFI or at our SPLI Pokémon League Elite Four Challenge! Once you have 8 wins against the SPLI Gym Leaders, then all you have to do is wait for the event on 3/15! 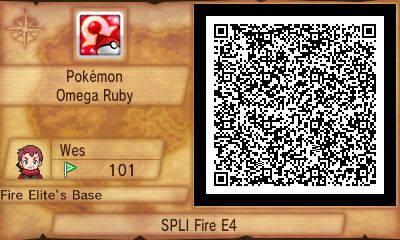 You can also battle a sample of the E4 Fire Gym by scanning his Secret Base QR code below! Gym Leader Spotlight: Elite Four – Ghost Type! SPLI: The SPLI Pokémon League Elite Four Challenge is only a few days away! For those who have been busy prepping, we’d like to share a little information about your team. What made you want to be the Ghost Gym Leader? Wolf Atlas: Ghost Pokemon help you hone your skills in a different way. Battling is not about just strength, it is also about wisdom and smarts. Without these as well, you won’t get far in life. SPLI: That’s true, those are very important qualities! You’ve clearly put a lot of thought into this. But how did you choose your Gym’s format? Wolf Atlas: Double battles offer more to the table. Testing one trainer’s ability to handle 2 Pokemon over 1 will bring more out of them. SPLI: Are there any tips or hints that you would like to share on how to prepare to challenge your Ghost team? Wolf Atlas: As long as you have good synergy with your team you should be fine. SPLI: Looks like you are all set to take on challengers at the SPLI Pokémon League Elite Four Challenge! What other games do you play in your spare time? Wolf Atlas: Check out my Youtube channel nighthawk12211 where I upload gaming content for fun. Games such as Pokemon, Smash 4 and more are played on this channel. SPLI: Awesome, we’ll definitely check it out! And to everyone else, don’t forget that you need to earn the right to battle the SPLI Elite Four by beating 8 regular Gym Leaders! Come to the SPLI Pokémon League Elite Four Challenge on 3/15 and battle your way to the top! If you would like to challenge Wolf Atlas and the Ghost Gym, you must first have beaten 8 regular Gym Leaders from the SPLI Pokemon League either via WIFI or at our SPLI Pokémon League Elite Four Challenge! Once you have 8 wins against the SPLI Gym Leaders, then all you have to do is wait for the event on 3/15! 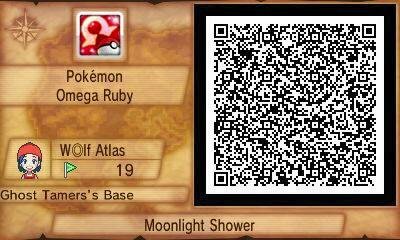 Until then, you can also scan Wolf Atlas’ Secret Base QR code, which has a small preview of his Ghost Gym team! Gym Leader Spotlight: Elite Four – Steel Type! SPLI: The SPLI Pokémon League Elite Four event on March 15th is just about a week away. Competitors are getting ready to face the toughest trainers in SPLI, such as you and your Steel Gym! We noticed that you have very specific rules for your Gym, what made you decide on this? Tendo: I chose singles so we could duel like knights. 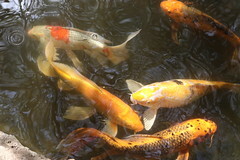 Item clause makes for more interesting predictions and team building. SPLI: We’ve appeared on panels together, so some of us already know who your favorite Pokemon is on your Steel team. But for those who don’t know, can you please explain? Tendo: Aegislash. I’ve waited ages for a haunted sword Pokemon. SPLI: Some Gym Leaders like to give a hint to challengers on what they can expect in battle, or how to strategize. 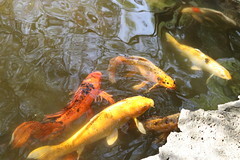 Do you have any tips for the challengers that you will face on 3/15? SPLI: So you’re a member of the SPLI Elite Four, you have appeared on gaming panels… what else would you like to share with us? Do you have any side projects that you’re working on? SPLI: Thanks for giving us some insight about your Steel Team! So SPLI – do you have what it takes to beat Tendo?? Come to the SPLI Pokémon League Elite Four Challenge on 3/15 and battle your way to the top! If you would like to challenge Tendo and the Steel Gym, you must first have beaten 8 regular Gym Leaders from the SPLI Pokemon League either via WIFI or at our SPLI Pokémon League Elite Four Challenge! Once you have 8 wins against the SPLI Gym Leaders, then all you have to do is wait for the event on 3/15! 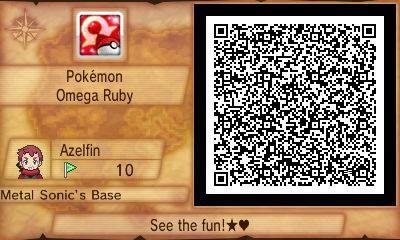 Until then, you can also scan Tendo’s Secret Base QR code, which has a small preview of his Steel Gym team! Gym Leader Spotlight: Elite Four – Dark Type! SPLI: Everyone is getting hyped up to challenge the SPLI Pokémon League Elite Four at our event on March 15th. Until now, the Elite Four has been shrouded in mystery. SPLI just revealed that you are the leader of the Dark Gym in the Elite Four. Can you tell us why you chose your mono type team to be Dark type? Rick: I chose the Dark type for my Gym Type because my favorite type of Pokemon is Dark! I’ve also had past experience using mono­Dark type Pokemon teams in various styles of battle, so I feel that I am well fit for this position. One other thing that hugely marks my inspiration and interest in being a Dark type Gym Leader is that there has yet to be a Dark type Gym Leader in the actual Pokemon video games! So I’m secretly hoping that Game Freak either reads this one day or is already secretly “Nasty Plotting” a super awesome Dark type Gym Leader for the 7th Generation of Pokemon (maybe he or she’ll even be the leader of the new evil organization!). SPLI: Wow, that would be awesome! When it comes to your Dark team, we were wondering what made you decide on your Gym Rules and Format – Singles, Normal with Item Clause? Rick: The reason for my chosen Gym Format is that I have the most experience in Single battle as I have been playing competitively in this battle format since the 3rd generation, on the timeline around when Pokemon Emerald had been released. I want to give challengers the greatest battles that I can offer, to show them the power that truly lies within the darkness mustered after all of those years of training in the shadows. The Gym Rules I have set up are those most consistent with past Smogon rules, which I am using to make things simpler for competitive Pokemon players who should be familiar with them. 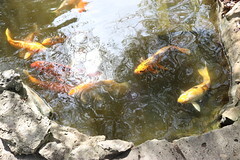 I have added Item clause as a little twist to make things interesting. What items will you have your other Pokemon hold when you can’t have 2 Pokemon hold the Leftovers item? How will you restructure your team to fit these requirements? I wonder. SPLI: We know you don’t want to give away too much about your Dark Gym Team, but since we already know you are going to be a tough competitor… can you just tell us about your favorite Pokémon on your team? Rick: Absol, especially now that it has a mega evolution. Mega­ Absol to me is one of the most bad@$$ looking mega ­evolutions in existence with its dark angel like appearance. Not to mention, it has a lot of new offensively oriented battle options, so it isn’t just there for show as it can really cause some destruction. Falling for its beauty will simply leave you and your Pokemon in a disaster. SPLI: We wish you a lot of luck facing the members of SPLI coming to challenge you at the Elite Four Challenge on 3/15. Or maybe we should be wishing them luck instead? We have a feeling the Dark Gym is going to be really tough to beat! Do you want to share any other tips or hints about your strategy? Rick: Hmm… I love taking out my victims slowly with draining status effects. Poison, burns, sleep… you name it. Maybe a Pursuit if you try and run away… If you try and fight back, I’ll block with a Protect and the fun will continue for another day… I assure you, many Sucker Punches will be thrown, many Illusions will be seen. It is up to you to discover the truth and this test will decide whether you have enough of a Miracle Eye to see through it all. It’ll be a scream! Mwahahahaha! SPLI: Yikes! It looks like challengers will have their work cut out for them if they want to be the SPLI Pokemon League Champion! Do you have what it takes?? Come to the SPLI Pokémon League Elite Four Challenge on 3/15 and battle your way to the top! If you would like to challenge Rick and the Dark Gym, you must first have beaten 8 regular Gym Leaders from the SPLI Pokemon League either via WIFI or at our SPLI Pokémon League Elite Four Challenge! Once you have 8 wins against the SPLI Gym Leaders, then all you have to do is wait for the event on 3/15! 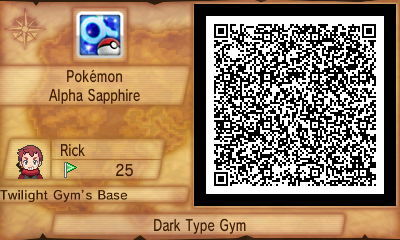 Until then, you can also scan Rick’s Secret Base QR code, which has a small preview of his Dark Gym team! 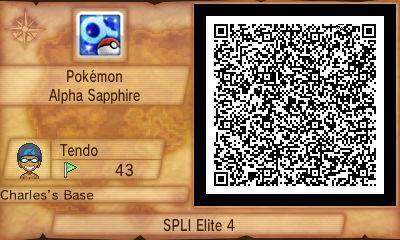 SPLI Pokemon League E4 Challenge! If you haven’t heard of the StreetPass Long Island Pokémon League, now is the time to check it out! Why? Because if you start challenging the SPLI League Gym Leaders now via WIFI, you will be on the fast track to challenging the SPLI League Elite Four at our next upcoming event! Here’s the deal. The SPLI League Elite Four is made up some of the toughest Pokémon trainers in the area. We had a little tournament to decide which trainers would be the E4, and these trainers proved their worth! Can you beat these mighty mono-type teams?? Want to know more about the Elite Four? The Gyms are Steel, Fire, Dark and Ghost. Each Gym has a different ruleset so be sure to read up on these Gyms before the event! If you want to challenge the SPLI League Elite Four, you will need to have earned 8 Gym Badges from the regular Gym Leaders in our league. You can do this at the event, as we are planning to have many Gym Leaders on hand. However, time and space is limited, so it will be in your best interest to get some Gym Badges before the day of the event, 3/15. You can earn Gym Badges by challenging the SPLI Gym Leaders via WIFI! All you have to do is fill out the form on the Gym’s page and you can challenge the Gym Leader online. Select a Gym from the dropdown menu and get started now! You’ll be ready to challenge the Elite Four right away if you can earn your Gym Badges in advance, so why wait? 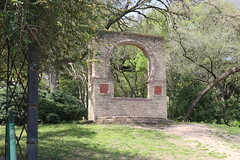 Have any questions about this event? Please visit our event page on Facebook, or email us at info@spli.org. We hope to see you there! NOTE: This is not a Tournament. This is a challenge event. You can use OR/AS or X/Y as long as the Gym Leader you are challenging agrees to it. Gym Leaders keep records of their wins and losses, which is how we will determine who can face the Elite Four. If you want to check how many Gym Badges you currently have, please contact a Gym Leader, or email info@spli.org with your questions. Thanks! Gym Leader Spotlight: Electric Type! To kick off 2015, we want to introduce the Gym Leaders of the SPLI Pokémon League. Check out some details about the Gym and meet the Gym Leaders that you can challenge. You might even find a hint about their teams! Electric Gym Spotlight – Click Here to Challenge Now! SPLI: It’s that time again! SPLI members want to know about the Electric Gym! What made you want to be the Electric Gym Leader? Azelfin: I chose Electric because I have always been a fan of Raichu. Also I think that Jolteon is hands down the coolest Electric Pokémon ever made from Gen 1. SPLI: Those are definitely some great Pokémon! But what about your Gym rules and format? Azelfin: I like to keep things simple… I play with Normal/Single because I think doubles, triples, and rotation battles are too confusing. And Normal because in case they have level 50 or below Pokémon, it raises them to level 50. SPLI: That’s true, those rules keep the battle fair for even a new Pokémon player! Now, we had to ask… do you mind sharing any hints or tips about the Electric Gym? SPLI: And finally, which game are you currently playing right now? Pokémon X/Y or Pokémon OR/AS? 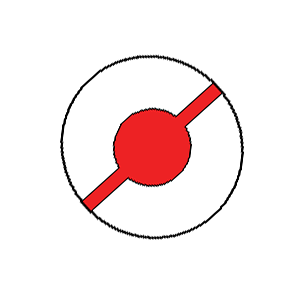 Shellshock: I prefer OR/AS because it has 2 day care centers and new and strong megas. Plus move tutors YAY! 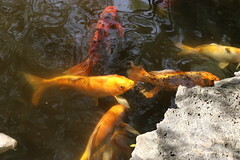 SPLI: Thanks so much for sharing your thoughts with us! Challengers will be SHOCKED when they battle the Electric Gym! If you would like to challenge Azelfin, please visit the Electric Gym page and fill out the challenge form! While you wait for your challenge to be accepted, you can also scan Azelfin’s Secret Base QR code, which has a small preview of his Psychic Gym team! Gym Leader Spotlight: Psychic Type! Psychic Gym Spotlight – Click Here to Challenge Now! SPLI: Thanks for taking the time to answer a few questions about your Gym! There are lots of really interesting Psychic type Pokémon, so we were wondering which Pokémon on your team is your personal favorite? 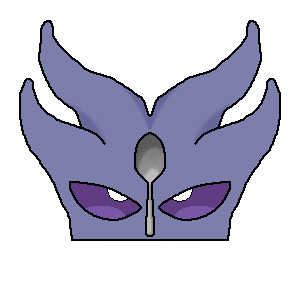 Shellshock: Malamar, because of its Contrary Ability. SPLI: Which Pokémon game do you prefer, Pokémon X/Y or Pokémon OR/AS? Shellshock: OR/AS, because it gives me access to Move Tutor Moves, ability to let me soar anywhere I want, being able to use two different Bikes at once, and many others. SPLI: Have you ever played the Pokémon Trading Card Game (TCG)? Shellshock: I used to play the TCG, both Casually and Competitively, until 2011. SPLI: Wow so you are a really active gamer! Are you working on any other projects right now? 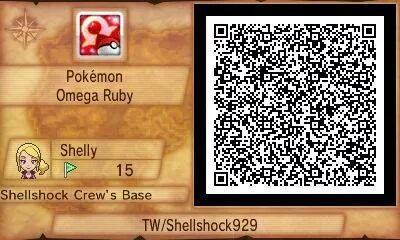 Shellshock: I am one of the Admins of StreetPass NYC. I also do some Live Streams of games, which you could follow me here (http://twitch.tv/shellshockprime) and here (http://hitbox.tv/shellshockprime). SPLI: Thank you for taking the time to speak with us! We wish you luck with your future Psychic Gym challenges! 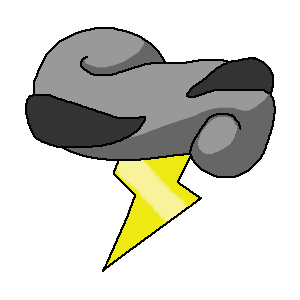 If you would like to challenge Shellshock, please visit the Psychic Gym page and fill out the challenge form! While you wait for your challenge to be accepted, you can also scan Shellshock’s Secret Base QR code, which has a small preview of his Psychic Gym team! Gym Leader Spotlight: Normal Type! StreetPass Long Island is proud to share the first of our Gym Leader Spotlights for the SPLI Pokémon League! If you don’t know about the SPLI Pokémon League, then you should definitely click the links for the league’s main page, which explains how the league works! You can challenge any Gym Leader by selecting their Gym from the League dropdown menu and submitting a challenge using the form on the Gym page. If you’d like to apply to be a Gym Leader, please send us an email and we might put you on the waiting list for next season! Normal Gym Spotlight – Click Here to Challenge Now! SPLI: Thanks for taking the time to answer a few questions about your Gym! First of all, we were wondering why you chose the Normal Type for your Gym? Derrick: I feel Normal Types are the underdogs of the world. SPLI: Your Gym uses Flat Rules and Singles Format. What made you decide to use these rules? Derrick: Nothing beats 6 v 6. I think there aren’t too many rooms for tricks, and a lengthy set up can be your downfall. SPLI: We know it’s hard to choose one, but which Pokémon on your team is your favorite? Derrick: Stoutland!!! I think he is one of the most underrated Normal Type there is! SPLI: Many SPLI members are enjoying Pokémon OR/AS these days, but some are still playing Pokémon X/Y. Which Pokémon game for the Nintendo 3DS do you prefer? Derrick: I am mainly playing on ORAS because of the new VGC rules, but I am going to have to say X/Y for the mere fact of character customization. I felt unique going into battle. SPLI: Thank you for taking the time to speak with us! We wish you luck with your future Normal Gym challenges! If you would like to challenge Derrick, please visit the Normal Gym page and fill out the challenge form! Now that the demos for Pokémon Omega Ruby Alpha Sapphire are becoming available, everyone is getting excited for the newest Pokémon games! 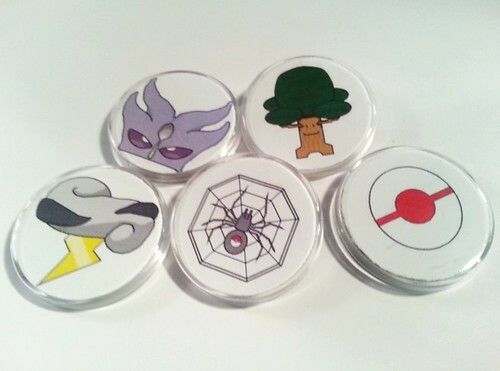 SPLI wants to share that excitement with you all by releasing a teaser photo of some badge prototypes that we’ve been working on for the SPLI Pokémon League! Please note that these badges are not currently in full production, and are not available to SPLI Pokémon League participants just yet. But we are planning some meetup events for the coming months that will allow Pokémon trainers to challenge the SPLI Pokémon League Gym Leaders and collect awesome badges like these! Don’t forget that while we wait for all the details of these upcoming League Events, you can still challenge the SPLI Pokémon League Gym Leaders on WIFI right now! Send your challenge requests out and you can battle each gym type and see how you match up against some strong NY-area trainers! Visit the SPLI Pokémon League page for more information on how to challenge us. You’ll need at least eight Gym Badges (virtual or real) to challenge the SPLI Elite Four, so get ready for some fierce battling! SPLI is proud to announce the debut of our new SPLI Pokémon League! We’ve brought together a variety of trainers from the Long Island/NYC area who will be our SPLI Gym Leaders for the first season of the League, and now it’s time for YOU to challenge them! Every Gym Leader has a mono-type team, and if you can beat 8 Gym Leaders and win their badges then you have earned the right to take on the SPLI Elite Four! The Elite Four will be available to challenge at special SPLI Events, and whoever can beat all 4 will be crowned the SPLI Champion! Do you have what it takes to be the very best? Take on our Pokémon League and see if you can beat our Gym Leaders! To get started, visit the SPLI Pokémon League page and be sure to read the rules. Then you can use the drop-down menu to find the Gym that you’d like to challenge, and use the form on the Gym Page to challenge the Gym Leader. Good luck!